I am pretty satisfied with my window garden. While the idea of expanding urban green space at home is good because we still have a vacant spot at the rooftop, I am afraid that it might be difficult to maintain. So, I opted for smaller and easy-to-care house plants to maximize the small space. Found this list online - Top 10 Stylish Succulents for Home Garden. I got a score of 1 out of 10, I only have plant #3 - Aloe Vera. My jade plant withered last summer. Let's proceed to the list. 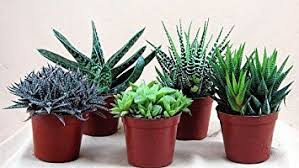 Just Google the names if you want to see how the plants look like. I'm keeping my fingers crossed in completing the list. Happy Gardening!